Grab three of your closest, craziest friends and head for Old Ox Brewery in Ashburn, VA on Saturday, May 4 for our third annual Donut Relay. Gather a team of 4 and get ready to eat and run! Each team must consume a dozen Krispy Kreme Donuts and each person has to eat at least one…beyond that you can allocate those donuts anyway you want! Each person eats their share of donuts, runs two miles on the W&OD and heads back to the Donut Eating Exchange Zone. As soon as you hit the exchange zone, your teammate can start slamming down donuts. 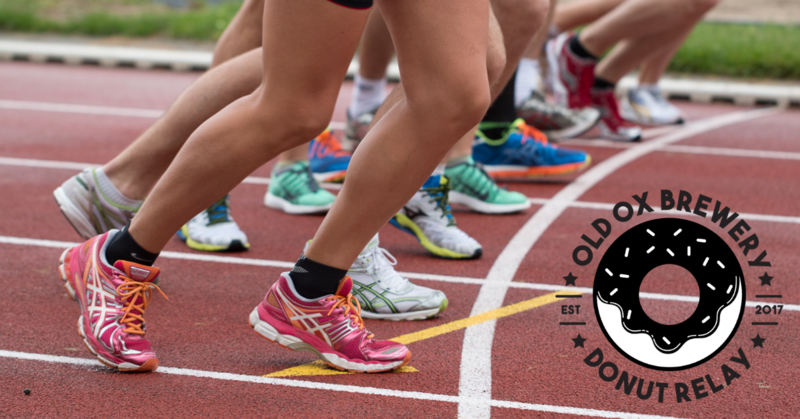 Each participant will receive a dozen donuts, a branded Old Ox buff and a beer token for a post-race beer.